"The Midnight Idol" is embroiled in a messy legal battle. Wayne Newton performs during the 100th Anniversary celebration of Arizona's statehood, at the Capitol in Phoenix. 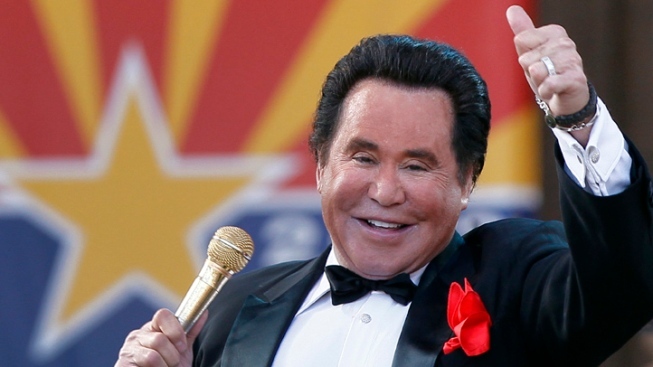 Plans to turn Wayne Newton's sprawling Las Vegas estate into a celebrity museum have shifted into an ugly legal battle citing mismanagement, animal abuse and sexual harassment. The company that purchased the rights to convert Newton's home into "Graceland West" filed a lawsuit this week in Las Vegas against Newton, his wife and her 76-year-old mother that claims the family unreasonably delayed the project to ensure it never opens. The Newton family claims the lawsuit is a preemptive strike because they had planned to sue the company for breach of contract after multiple construction delays. The family plans to file a counter lawsuit challenging the allegations made by CSD, LLC. The legal wrangling paints an uncertain future for Newton's 40-acre estate featuring South African penguins, Arabian horses, Impressionist paintings by Pierre-Auguste Renoir and 17th-century antiques collected from European castles. Newton's lawyer, J. Stephen Peek, dismissed CSD's allegations as "salacious" lies and said the Newtons had nothing to do with the project's delayed opening. "The real substance will come out in time," he told The Associated Press in a brief telephone interview. The lawsuit seeks to have the Newton family immediately vacate their lavish estate, Casa de Shenandoah, and allow the $50 million project honoring the Las Vegas legend's music career to move forward. Construction plans for the museum called for an exhibition space, theater, zoo, visitors' center and other attractions. The lawsuit also claims Newton sexually harassed a young female employee hired to train his 55 horses by repeatedly kissing her on the mouth. The worker quit and has threatened to sue Newton and CSD, according to the lawsuit. Peek said the woman had been fired and described the accusations as an attempt to "obtain financial gain." Under the terms of the museum deal, Newton, his wife and his daughter agreed to move to a newly constructed $2 million home on the estate so their mansion could be converted into a museum initially scheduled to open in late 2011. The lawsuit claims the family refused to relocate or turn over personal memorabilia. "It is quite clear that it was always their intention to remain in the Mansion regardless of the terms of the agreement," the lawsuit alleges. The company claims Newton's home was in a "sad state of disrepair" when it purchased the land for $19.5 million in June 2010, with his horses uncared for and 6-feet-tall animal manure piles covering the grounds. "The penguin ponds were disgustedly dirty, full of algae and were endangering the penguins, all of whom were sick and many had died," the lawsuit reads. Peek countered that the home couldn't have been in disrepair because the TV show "The Amazing Race" filmed its season finale there in 2009. He said CSD failed to obtain necessary building permits, causing emergency officials to halt construction of the visitor center. The company also allegedly bullied its employees. The Newton family released a statement from Geneva Clark, a partial owner of the museum, who denounced the allegations made by CSD's manager, Steven Kennedy. "He is wrongly accusing the Newtons and mismanaging his role of leadership," Clark said in the statement. Newton allowed the AP to tour his estate in October 2010, just months after the deal with CSD was finalized. The property appeared to be clean and his animals seemed healthy and well-kept. Newton faced various financial woes in recent years. He filed for Chapter 11 bankruptcy protection in 1992 to reorganize an estimated $20 million in debts, including a $341,000 Internal Revenue Service lien for back taxes. In 2005, he disputed IRS claims that he and his wife owed $1.8 million in back taxes and penalties from 1997 through 2000. More recently, sheriff's deputies were turned away from the ranch home in February 2010 while trying to collect a $500,000 court judgment stemming from back pay owed to a former pilot. That same month, Newton's billionaire buddy Bruton Smith tried to seize Casa de Shenandoah for repayment of a $3.35 million loan.